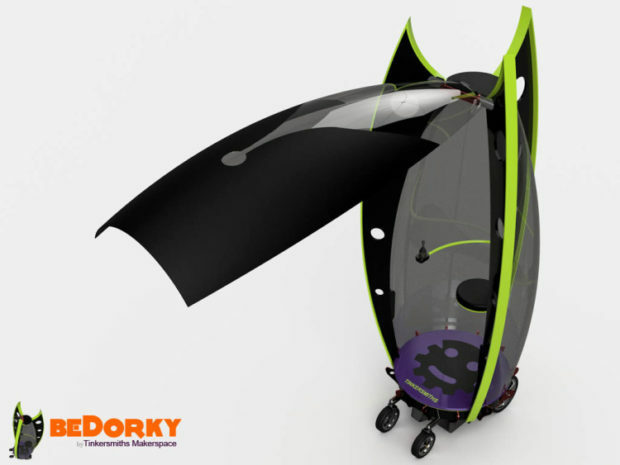 As the name suggests, the Dorkpod looks pretty dorky. It’s designed to transport dorks to and fro and is available in a variety of options for makers of any skill level. It comes from Tinkersmiths Makerspace and is an open source DIY vertical personal electric vehicle. 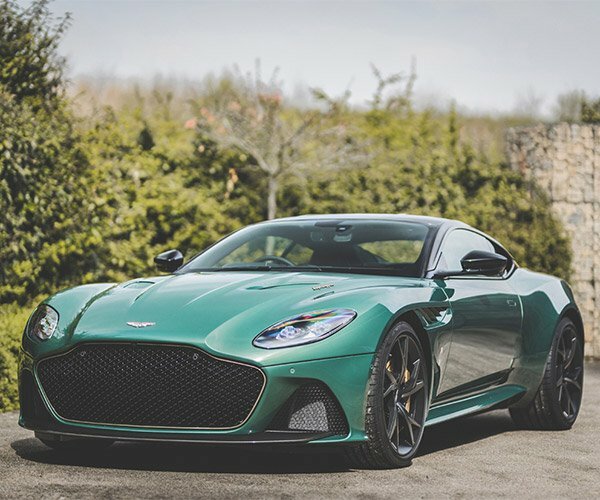 You can get just the plans or a complete and ready-to-drive model. It’s highly customizable, since most of the components are simply plywood. It uses an electric wheelchair base for the drive system. 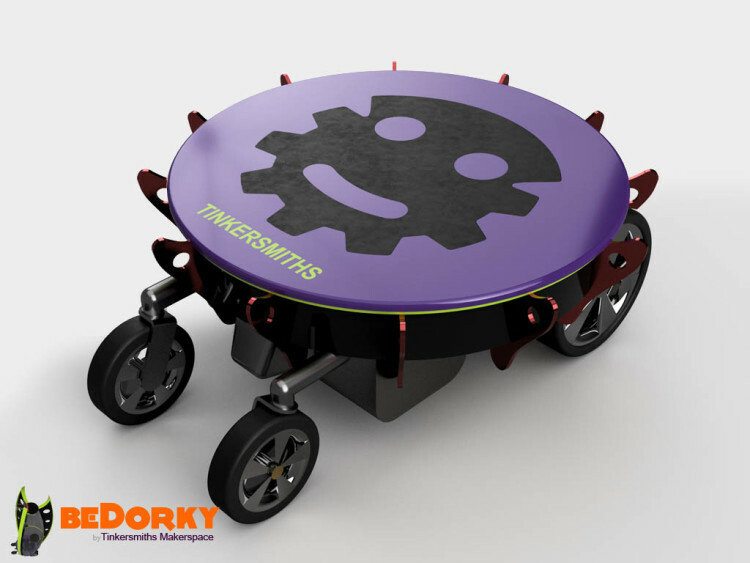 The Dorkpod is being funded through a Kickstarter campaign, and you can either get access to the plans early for a contribution of $25, with the frame kit starting at $350 and up (wheelchair base not included), and the actual completed prototype available for $3500.